Readers of my blog know I’ve been going to Shenzhen for some time now. 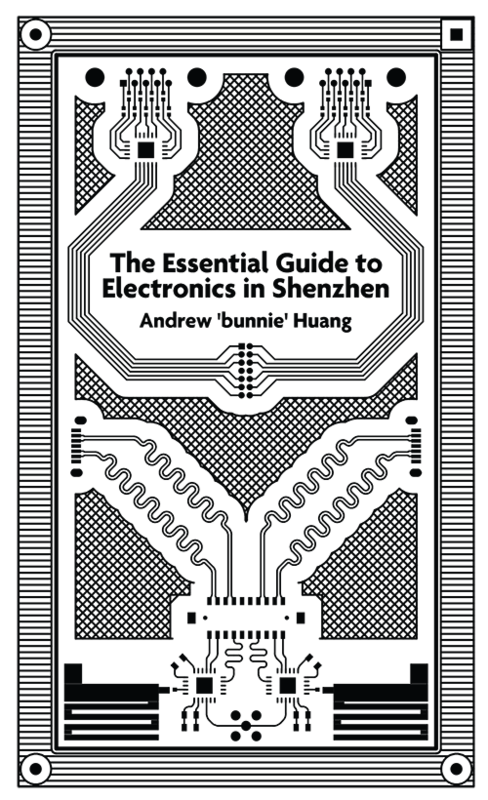 I’ve taken my past decade of experience and created a tool, in the form of a book, that can help makers, hackers, and entrepreneurs unlock the potential of the electronics markets in Shenzhen. 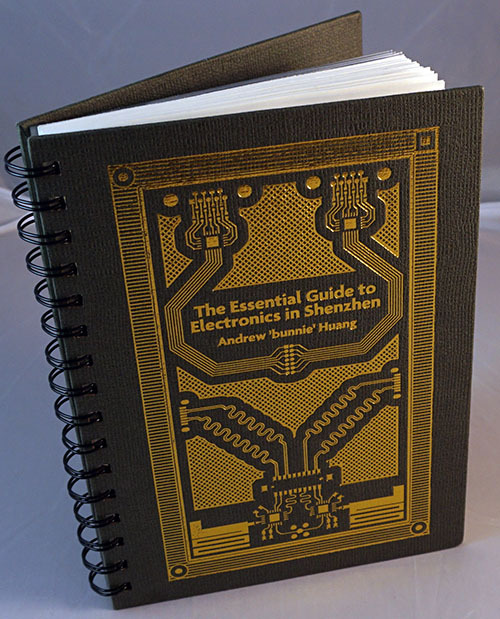 I’m looking for your help to enable a print run of this book, and so today I’m launching a campaign to print “The Essential Guide to Electronics in Shenzhen”. As a maker and a writer, the process of creating the book is a pleasure, but I’ve come to dread the funding process. Today is like judgment day; after spending many months writing, I get to find out if my efforts are deemed worthy of your wallet. It’s compounded by the fact that funding a book is a chicken-and-egg problem; even though the manuscript is finished, no copies exist, so I can’t send it to reviewers for validating opinions. Writing the book consumes only time; but printing even a few bound copies for review is expensive. 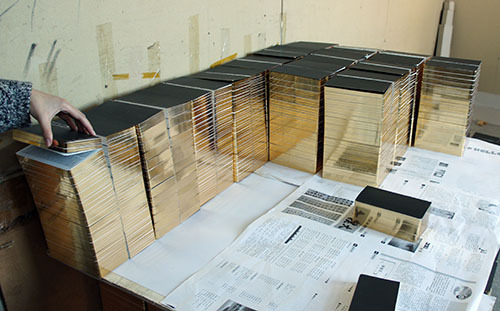 In this case, the minimum print run is 1,000 copies. I’m realistic about the market for this book – it’s most useful for people who have immediate plans to visit Shenzhen, and so over the next 45 days I think I’d be lucky if I got a hundred backers. However, I don’t have the cash to finance the minimum print run, so I’m hoping I can convince you to purchase a copy or two of the book in the off-chance you think you may need it someday. If I can hit the campaign’s minimum target of $10,000 (about 350 copies of the book), I’ll still be in debt, but at least I’ll have a hope of eventually recovering the printing and distribution costs. 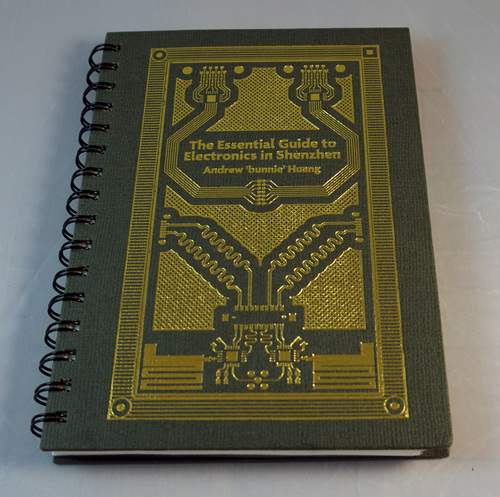 The book itself is the guide I wish I had a decade ago; you can have a brief look inside here. It’s designed to help English speakers make better use of the market. 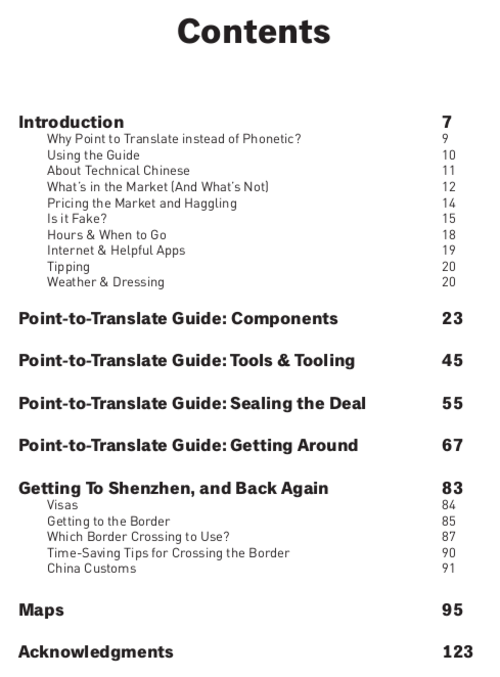 The bulk of the book consists of dozens of point-to-translate guides relating to electronic components, tools, and purchasing. It also contains supplemental chapters to give a little background on the market, getting around, and basic survival. 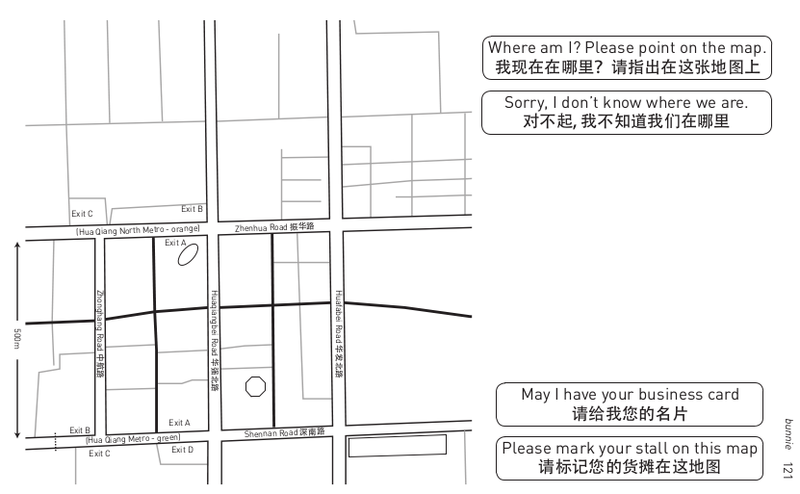 It’s not meant to replace a travel guide; its primary focus is on electronics and enabling the user to achieve better and more reliable results despite the language barriers. 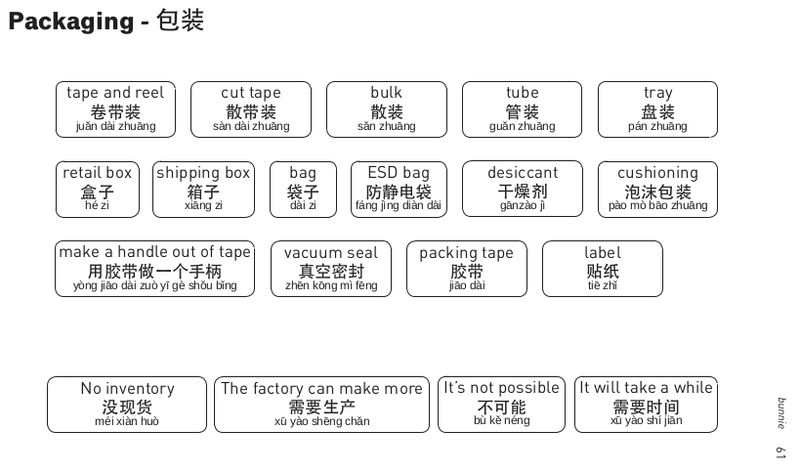 For example, the above page focuses on packaging. Once you’ve found a good component vendor, sometimes you find your parts are coming in bulk bags, instead of tape and reel. Or maybe you just need the whole thing put in a shipping box for easy transportation. This page helps you specify these details. I’ve put several pages of the guide plus the whole sales pitch on Crowd Supply’s site; I won’t repeat that here. Instead, over the coming month, I plan to post a couple stories about the “making of” the book. The reality is that products cost money to make. Normally, a publisher takes the financial risk to print and market a book, but I decided to self-publish because I wanted to add a number of custom features that turn the book into a tool and an experience, rather than just a novel. The most notable, and expensive, feature I added are the pages of blank maps interleaved with business card and sample holders. Note that in the pre-print prototype above, the card holder pages are all in one section, but the final version will have one card holder per map. When comparison shopping in the market, it’s really hard to keep all the samples and vendors straight. 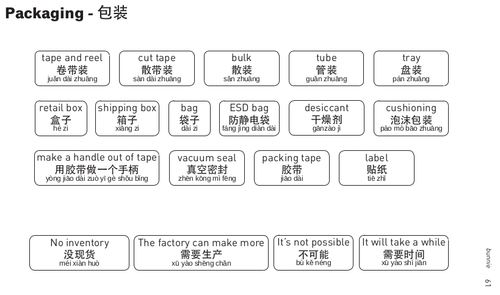 After the sixth straight shop negotiating in Chinese over the price of switches or cables, it’s pretty common that I’ll swap a business card, or a receipt will get mangled or lost. 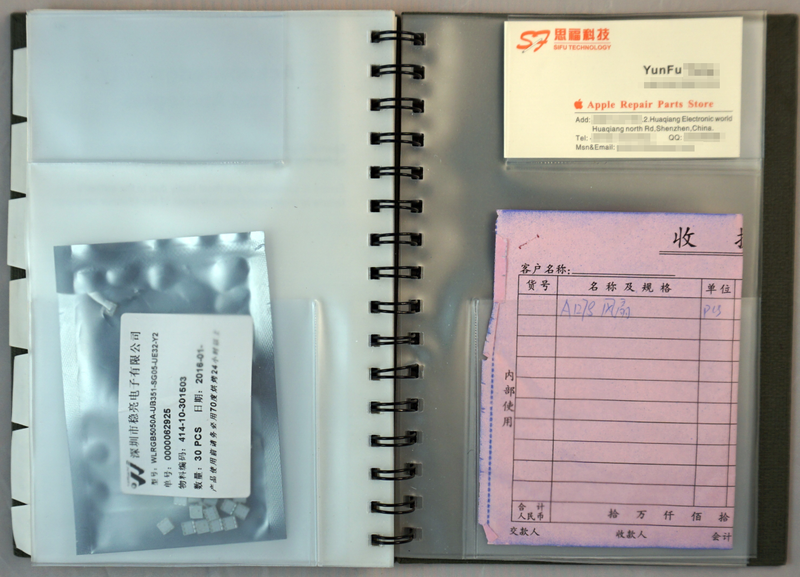 These pages enable me to mark the location of a vendor, associate it with a business card and pricing quotation, and if the samples are small (like the LEDs in the picture above) keep the sample with the whole set. I plan on using a copy of the book for every project, so a couple years down the road if someone asks me for another production run, I can quickly look up my suppliers. Keeping the hand-written original receipts is essential, because suppliers will often honor the pricing given on the receipt, even a couple years later, if you can produce it. The book is designed to give the best experience for sourcing components in the Shenzhen electronic markets. 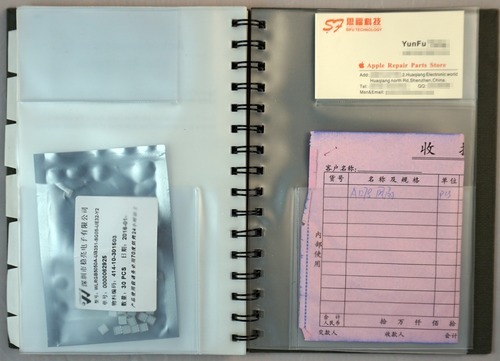 In order to accommodate the extra thickness of samples, receipts and business cards, the book is spiral-bound. The spiral binding is also convenient for holding a pen to take notes. Finally, the spiral binding also allows you to fold the book flat to a page of interest, allowing both the vendor and the buyer to stare at the same page without fighting to keep the book open. I added an elastic strap in the back cover that can be used as a bookmark, or to help keep the book closed if it starts to get particularly full. I also added tabbed pages at the beginning of every major section, to help with quickly finding pages of interest. Physical print books enable a fluidity in human interaction that smartphone apps and eBooks often fail to achieve. Staring at a phone to translate breaks eye contact, and the vendor immediately loses interest; momentum escapes as you scroll, scroll, scroll to the page of interest, struggle with auto-correction on a tiny on-screen keyboard, or worse yet stare at an hourglass as pages load from the cloud. 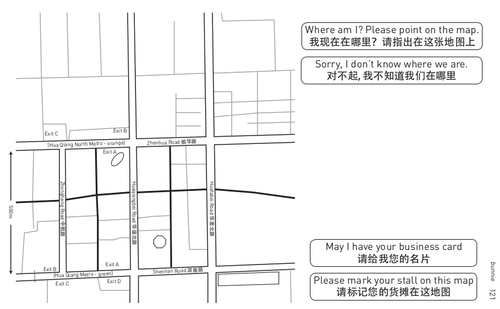 But pull out the book and start thumbing through the pages, the vendor can also see and interact with the translation guide. They become a part of the experience; it’s different, interesting, and keeps their attention. Momentum is preserved as both of you point at various terms on the page to help clarify the transaction. 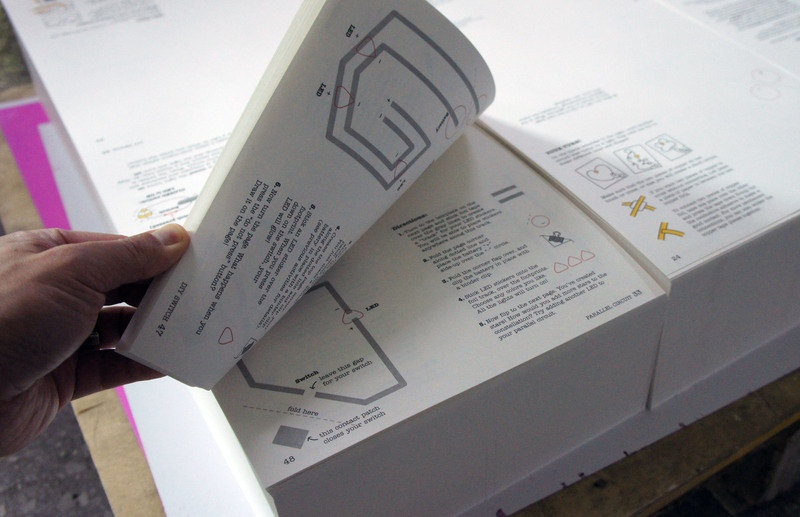 Thus, I spent a fair bit of time customizing the physical design of the book to make it into a tool and an experience. I considered the human factors of the Shenzhen electronics market; this book is not just a dictionary. This sort of tweaking can only be done by working with the printer directly; we had to do a bit of creative problem solving to figure out a process that works to bring all these elements together that can also pump out books at a rate fast enough to keep it in the realm of affordability. Of course, the cost of these extra features are reflected in the book’s $35 cover price (discounted to $30 if you back the campaign now), but I think the book’s value as a sourcing and translation tool makes up for its price, especially compared to the cost of plane tickets. Or worse yet, getting the wrong part because of a failure to communicate, or losing track of a good vendor because a receipt got lost in a jumble of samples. This all bring me back to the point of this post. Printing the book is going to cost money, and I don’t have the cash to print and inventory the book on my own. If you think someday you might go to Shenzhen, or maybe you just like reading what I write or how the cover looks, please consider backing the campaign. If I can hit the minimum funding target in the next 45 days, it will enable a print run of 1,000 books and help keep it in stock at Crowd Supply. I gave an MLTalk at the MIT Media Lab this week, where I disclose a bit more about the genesis of the Orchard platform used to build, among other things, the Burning Man sexually generated light pattern badge I wrote about a couple months back. The short provocation is followed up by a conversation with Joi Ito, the Director of the Media Lab, and Nadya Peek, a renowned expert in digital fabrication from the CBA (and incidentally, the namesake of the Peek Array in the Novena laptop) about supply chains, digital fabrication, trustability, and things we’d like to see in the future of low volume manufacturing. I figured I’d throw a link here on the blog to break the monotony of name that wares. Sorry for the lack of new posts, but I’ve been working on a couple of books and magazine articles in the past months (some of which have made it to print: IEEE Spectrum, Wired) which have consumed most of my capacity for creative writing. With mainline laptop production finally humming along, bunnie was able to spend a week in Portland, Oregon working side by side with Kurt Mottweiler to hammer out all of the final open issues on the Heirloom devices. We’re very excited about and proud of the way the Heirloom laptops are coming together. In a literal sense, Heirloom laptops are “grown” – important structural elements come from trees. 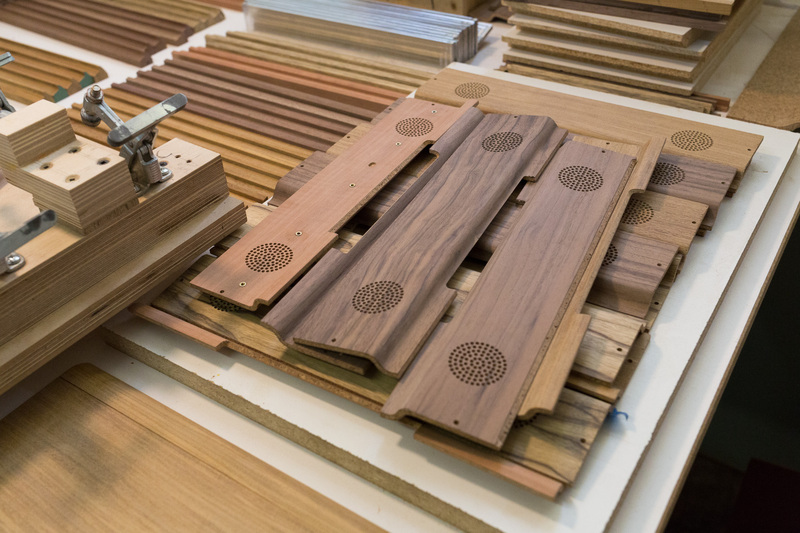 While we could have taken the easy route and made every laptop identical, we felt it would be much more apropos of a bespoke product to make each one unique by picking the finest woods and matching their finish and color in a tasteful fashion. As a result, no two Heirloom laptops will look the same; each will be beautiful in its own unique way. 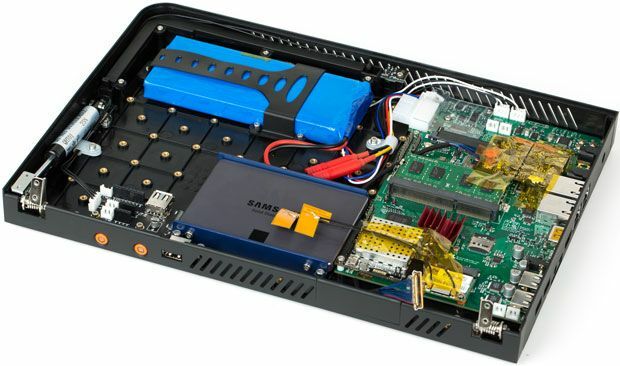 There’s a lot of science and engineering going into the Heirloom laptops. For starters, Kurt has created a unique composite material by layering cork, fiberglass, and wood. To help characterize the novel composite, some material samples were taken to the Center for Bits and Atoms at MIT, where Nadya Peek (who helped define the Peek Array) and Will Langford characterized the performance of the material. We took sections of the wood composite and performed a 3-point bend test using a Instron 4411 electromechanical material testing machine. 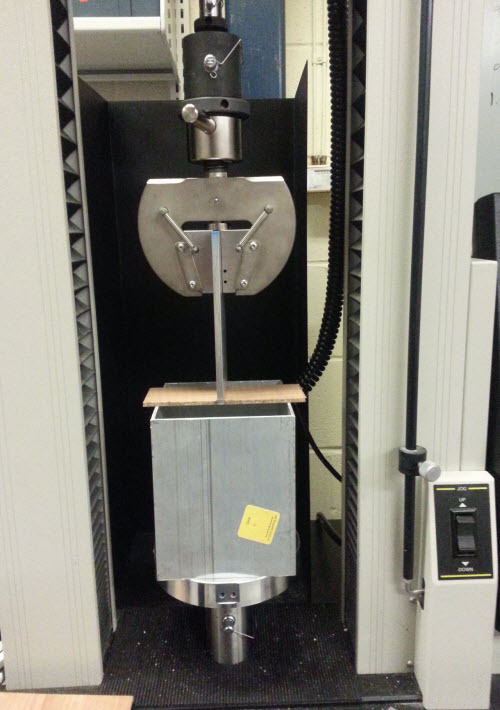 From the test data, we were able to extract the flexural modulus and flexural strength of the material. I’m not a mechanical engineer by training, so words like “modulus” and “specific strength” kind of go over my head. But Nadya was kind enough to lend me some insight into how to think about materials in this context. She pointed me at the Ashby chart, which like some xkcd comic panels, I could stare at for an hour and still not absorb all the information contained within. 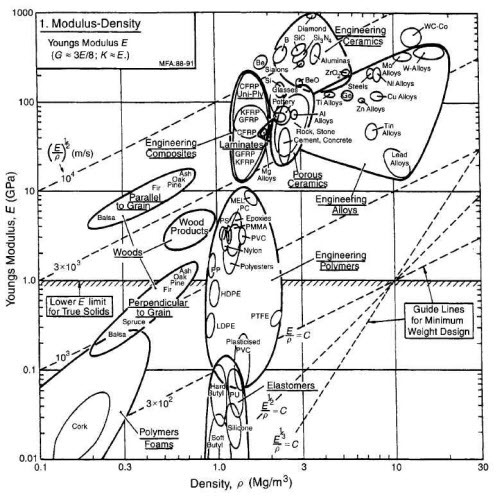 For example, the Ashby chart above plots Young’s Modulus versus density of many materials. In short, the bottom left of the chart has bendy, light materials – like cork – and the top right of the chart has rigid, heavy materials, like Tungsten. For a laptop case, we want a material with the density of cork, but the stiffness of plastic. If you look at the chart, wood products occupy a space to the left of plastics, meaning they are less dense, but they have a problem: they are weak perpendicular to the grain, and so depending on the direction of the strain, they can be as yielding as polyethene (the stuff used to make plastic beverage bottles), or stiffer than polycarbonate (the stuff layered with glass to make bulletproof windows). 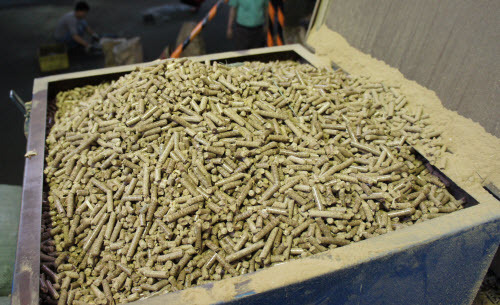 Composite materials are great because they allow us to blend the characteristics of multiple materials to hit the desired characteristic; in this case, Kurt has blended cork, glass fiber, and wood. The measurements of the Heirloom composite show a flexural strength of about 33 MPa, and a flexural modulus of about 2.2-3.2 GPa. The density of the material is 0.49 g/cm3, meaning it’s about half the density of ABS. Plotting these numbers on the Ashby chart shows that the Heirloom composite occupies a nice spot to the left of plastics, and provides a compromise on stiffness based on grain direction. The red circle shows approximately where the Heirloom composite lands. To be fair, measurements still revealed some directional sensitivity to the composite; depending on the grain, the modulus varies from about 2.2GPa to 3.2 GPa (and the diameter of the red circle encompasses this variability); but this is a much tighter band than the 10x difference in modulus indicated for pure woods. Another thing to note is that during testing, the material didn’t fail catastrophically. Above are the graphs of load vs. extension as plotted by the Instron testing machine. Even after bending the material past its peak load, it was still mostly intact and providing resistance. This result is a bit surprising; we had expected the material, like normal wood, would break in two once it failed. Furthermore, after we reset the test, the material bounced back to its original shape; even after bending by over 10mm, once the load was removed you could barely tell it went through testing. This high fracture toughness and resilience are desireable properties for a laptop case. Of course, there’s nothing quite like picking up the material, feeling its surprising lightness, and then trying to give it a good bend and being surprised by its rigidity and ruggedness. The Heirloom backers will get the privilege of feeling this firsthand; for the rest of us, we’ll have to settle with seeing circles on Ashby charts and graphs on computer screens. If you want to see more photos of the Heirloom laptop coming together, check out the image gallery at the bottom of the official Crowd Supply update! Recently, Akiba took me to visit his friend’s zipper factory. I love visiting factories: no matter how simple the product, I learn something new. 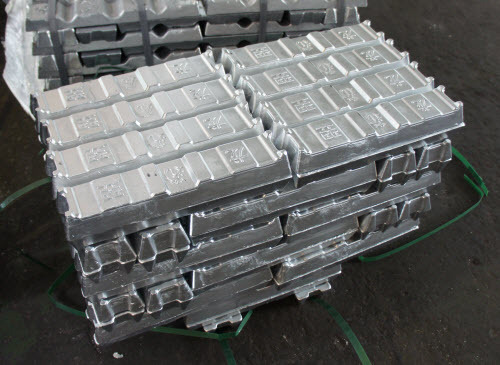 In between the input material and the output product is a fully automated die casting line, a set of tumblers and vibrating pots to release and polish the zippers, and a set of machines to de-burr and join the puller to the slider. I think I counted less than a dozen employees in the facility, and I’m guessing their capacity well exceeds a million zippers a month. I find vibrapots mesmerizing. I actually don’t know if that’s what they are called — I just call them that (I figure within minutes of this going up, a comment will appear informing me of their proper name). The video below shows these miracles at work. It looks as if the sliders and pullers are lining themselves up in the right orientation by magic, falling into a rail, and being pressed together into that familiar zipper form, in a single fully automated machine. If you put your hand in the pot, you’ll find there’s no stirrer to cause the motion that you see; you’ll just feel a strong vibration. If you relax your hand, you’ll find it starting to move along with all the other items in the pot. The entire pot is vibrating in a biased fashion, such that the items inside tend to move in a circular motion. This pushes them onto a set of rails which are shaped to take advantage of asymmetries in the object to allow only the objects that happen to jump on the rail in the correct orientation through to the next stage. This begs the question of why is it that some zippers have fully automated assembly procesess, whereas others are semi-automatic? I’ve added red arrows to highlight the key difference between the zippers. This tiny tab, barely visible, is the difference between full automation and a human having to join millions of sliders and pullers together. To understand why, let’s review one critical step in the vibrapot operation. As you can see, when the pullers come around the rail, their orientation is random: some are facing right, some facing left. But the joining operation must only insert the slider into the smaller of the two holes. 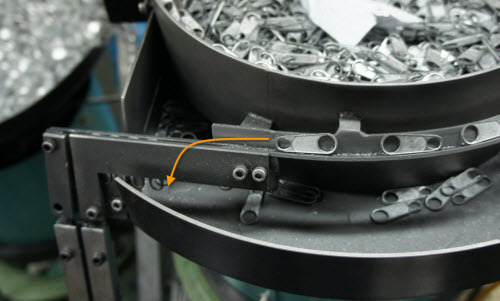 The tiny tab, highlighted above, allows gravity to cause all the pullers to hang in the same direction as they fall into a rail toward the left. The semi-automated zipper design doesn’t have this tab; as a result, the design is too symmetric for a vibrapot to align the puller. I asked the factory owner if adding the tiny tab would save this labor, and he said absolutely. At this point, it seems blindingly obvious to me that all zippers should have this tiny tab, but the zipper’s designer wouldn’t have it. 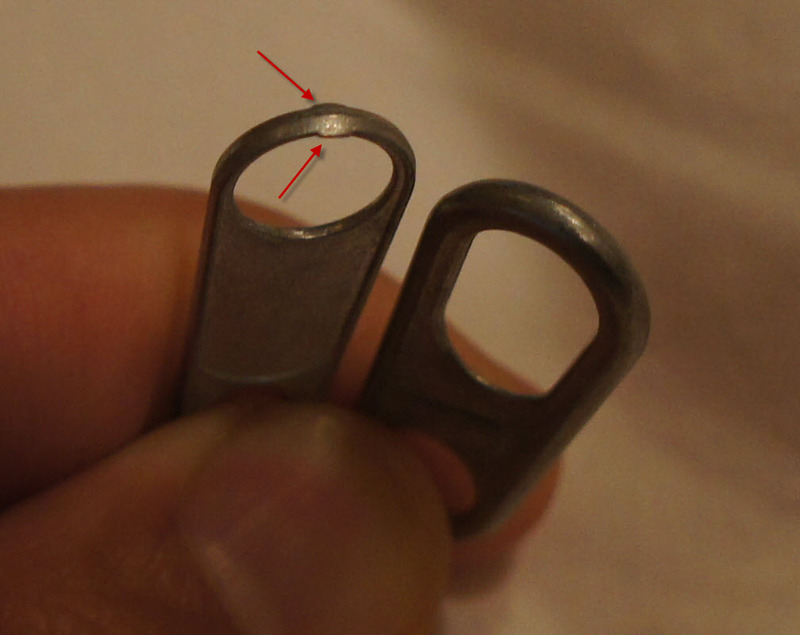 Even though the tab is very small, a user can feel the subtle bumps, and it’s perceived as a defect in the design. As a result, the designer insists upon a perfectly smooth tab which accordingly has no feature to easily and reliably allow for automatic orientation. I’d like to imagine that most people, after watching a person join pullers to sliders for a couple minutes, will be quite alright to suffer the tiny bump on the tip of their zipper to save another human the fate of having to manually align pullers into sliders for 8 hours a day. 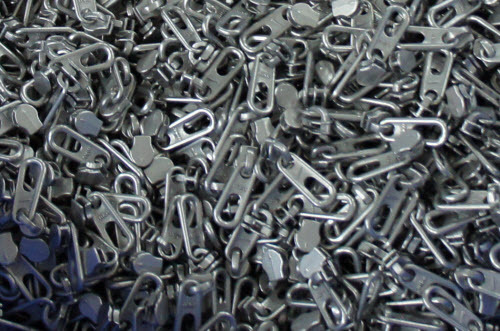 I suppose alternately, an engineer could spend countless hours trying to design a more complex method for aligning the pullers and sliders, but (a) the zipper’s customer probably wouldn’t pay for that effort and (b) it’s probably net cheaper to pay unskilled labor to manually perform the sorting. They’ve already automated everything else in this factory, so I figure they’ve thought long and hard about this problem, too. My guess is that robots are expensive to build and maintain; people are self-replicating and largely self-maintaining. Remember that third input to the factory, “rice”? 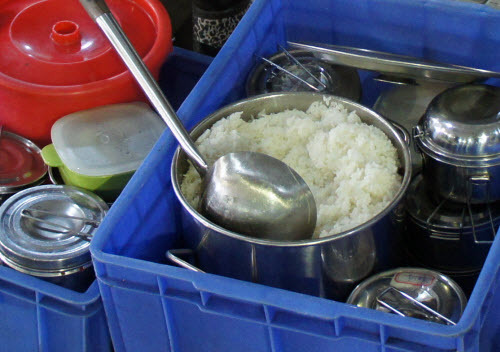 Any robot’s spare parts have to be cheaper than rice to earn a place on this factory’s floor. However, in reality, it’s by far too much effort to explain this to end customers; and in fact quite the opposite happens in the market. Because of the extra labor involved in putting these together, the zippers cost more; therefore they tend to end up in high-end products. This further enforces the notion that really smooth zippers with no tiny tab on them must be the result of quality control and attention to detail. My world is full of small frustrations similar to this. 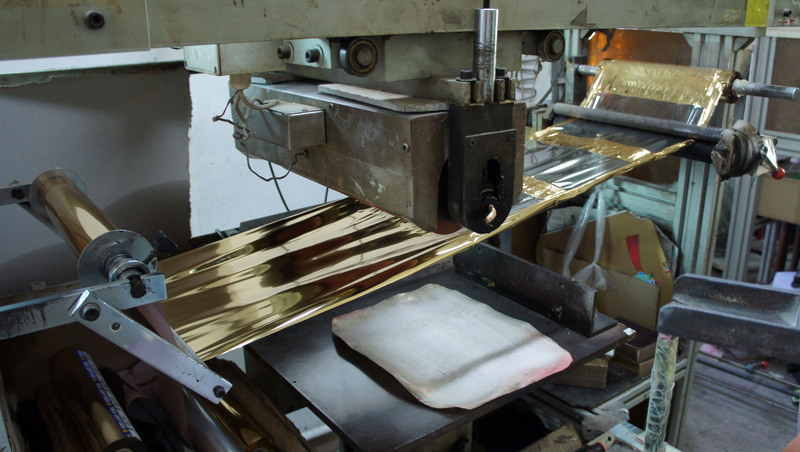 For example, most customers perceive plastics with a mirror-finish to be of a higher quality than those with a satin finish. While functionally there is no difference in the plastic’s structural performance, it takes a lot more effort to make something with a mirror-finish. 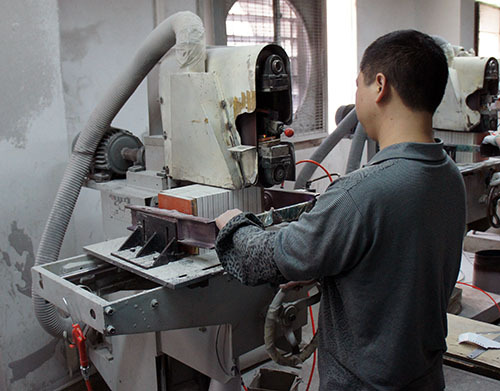 The injection molding tools must be painstakingly and meticulously polished, and at every step in the factory, workers must wear white gloves; mountains of plastic are scrapped for hairline defects, and extra films of plastic are placed over mirror surfaces to protect them during shipping. But that mirror finish sure does look pretty in photographs and showroom displays!